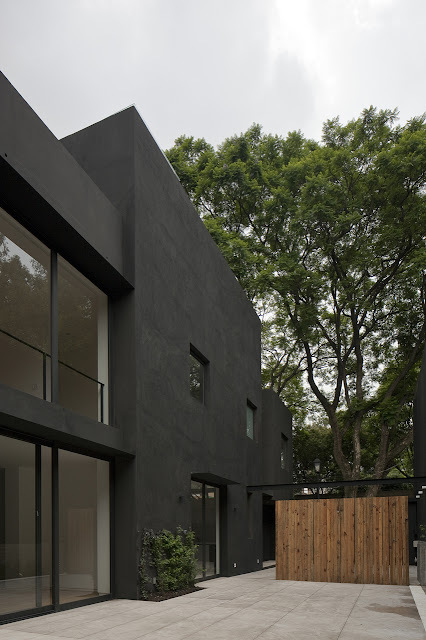 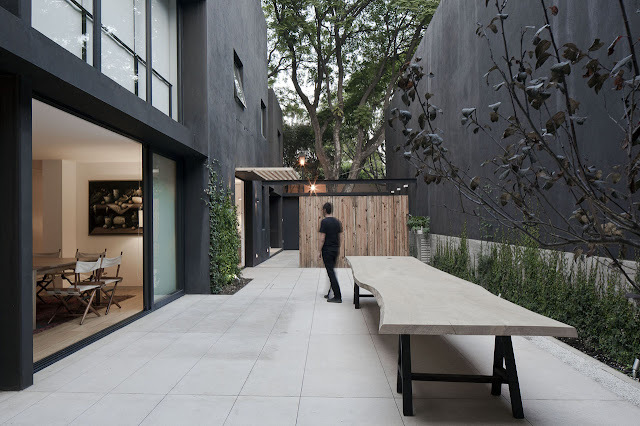 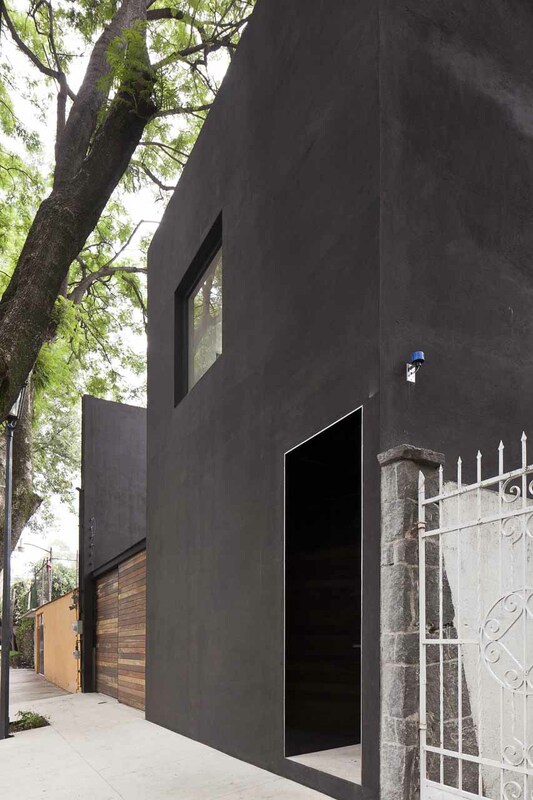 Cerrada Reforma 108 is a residence in Mexico City, designed by DCPP Arquitectos as an essay on the relationship of positive and negative space, based on the proportions of volumes, voids, monochromatic color and materiality. 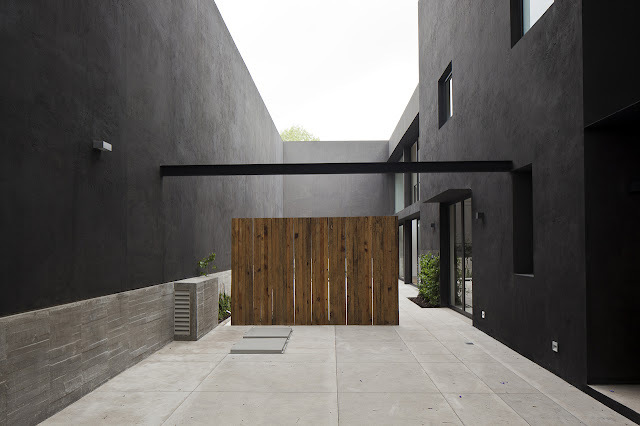 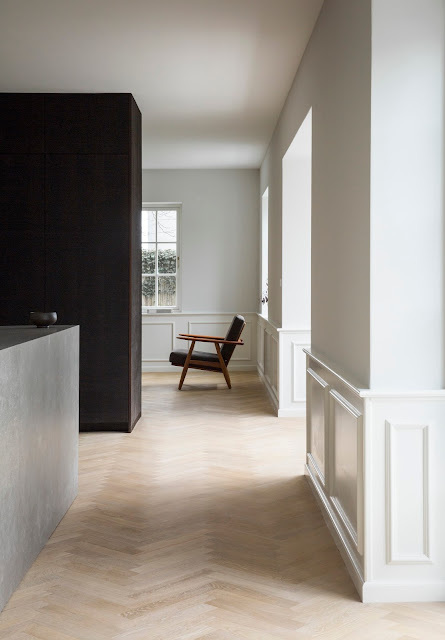 The concept of the house parted from the idea of positive and negative space, seeking to create a game of counterparts to define and virtually contain the exterior space. 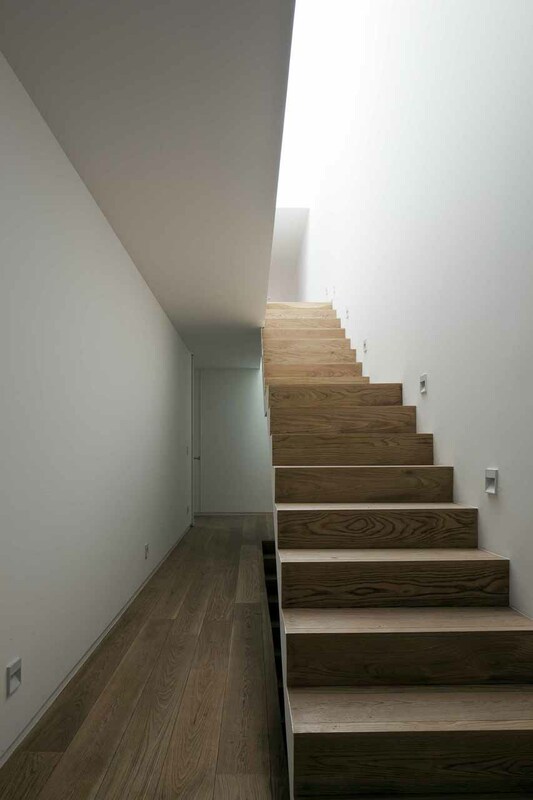 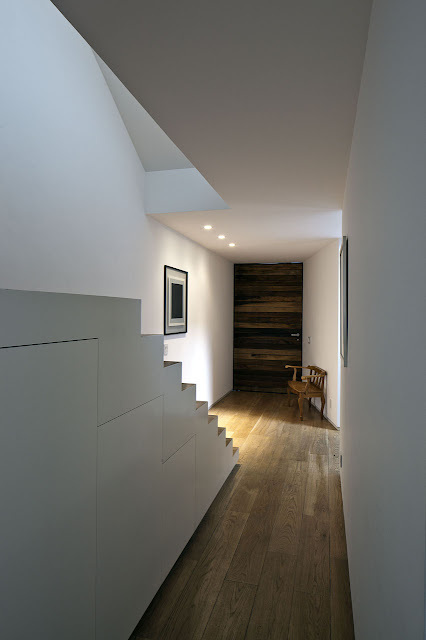 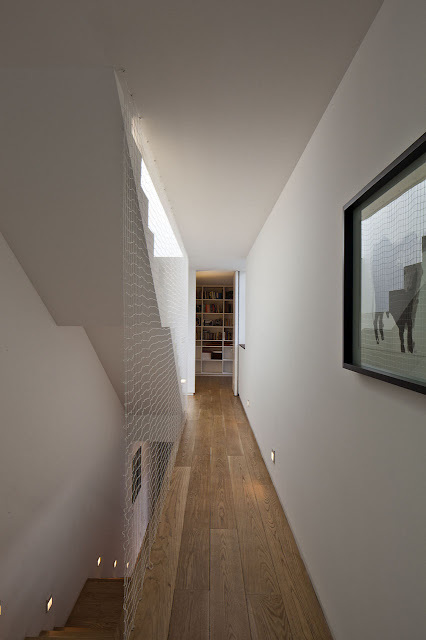 We decided to construct only half of the plot with a longitudinal block of 5 x 20 meters that corresponds to the house. 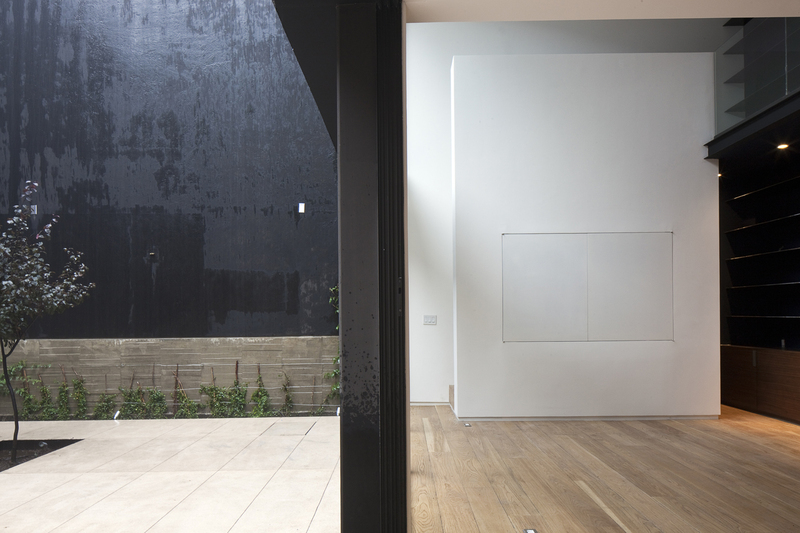 The negative space is conceived as the open space or public area, which is contained but not occupied, it has exactly the same dimensions but is not built, creating a dialogue between this counterparts. The built block dialogues with its open counterpart through a transparent façade all along the side, leaving open one of its faces. 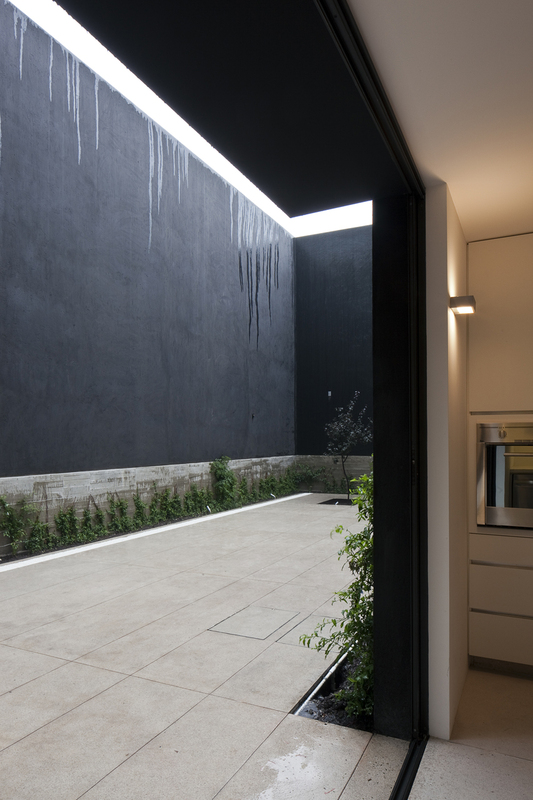 In this way, the only closed elements are the private areas such as bathrooms and kitchen. 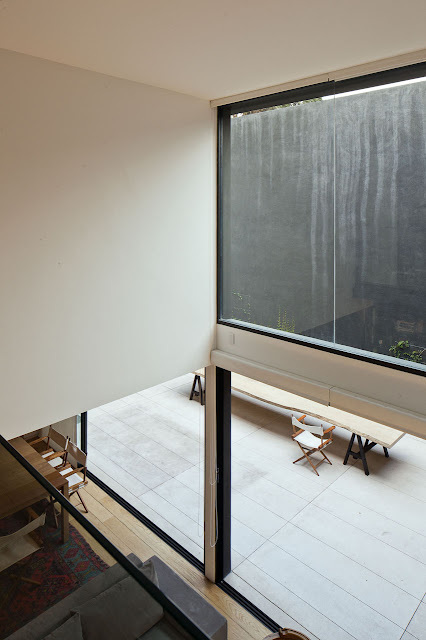 The counterpart of the transparent façade is a solid wall with the same height that contains the open space. 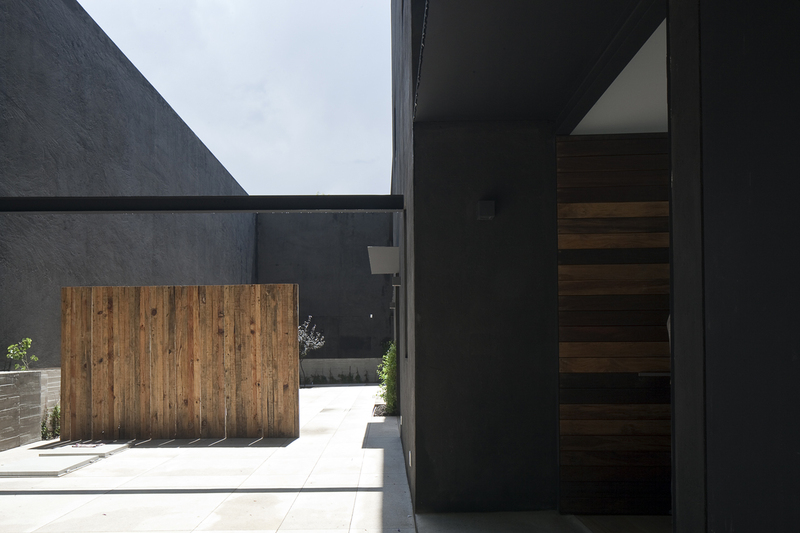 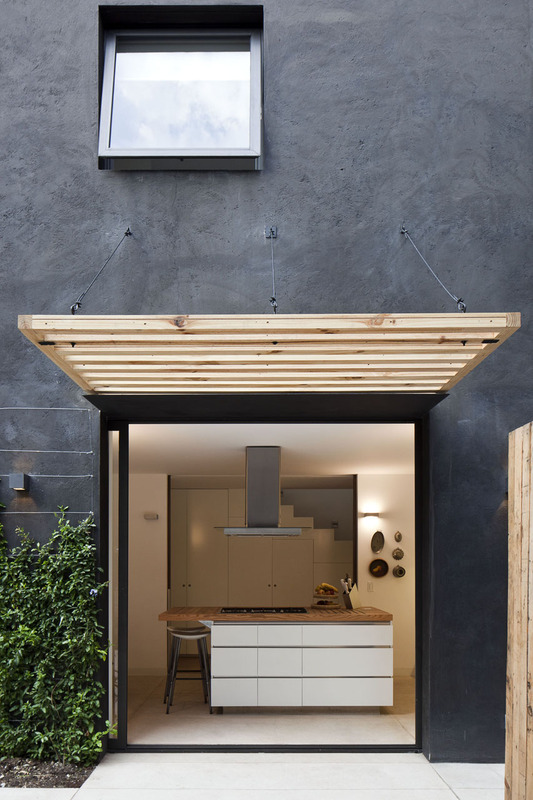 This helps close the visibility towards the neighbors, giving privacy to the house.